David farms 94 acres (38 hectares), all grass, on the edge of Salisbury Plain. He has farmed here since 1987 and was originally a dairy farmer, milking 80 cows. He bought the farm from the landlords, Wiltshire County Council, in 2000, and will finish paying for it in 2019 at the age of 70. 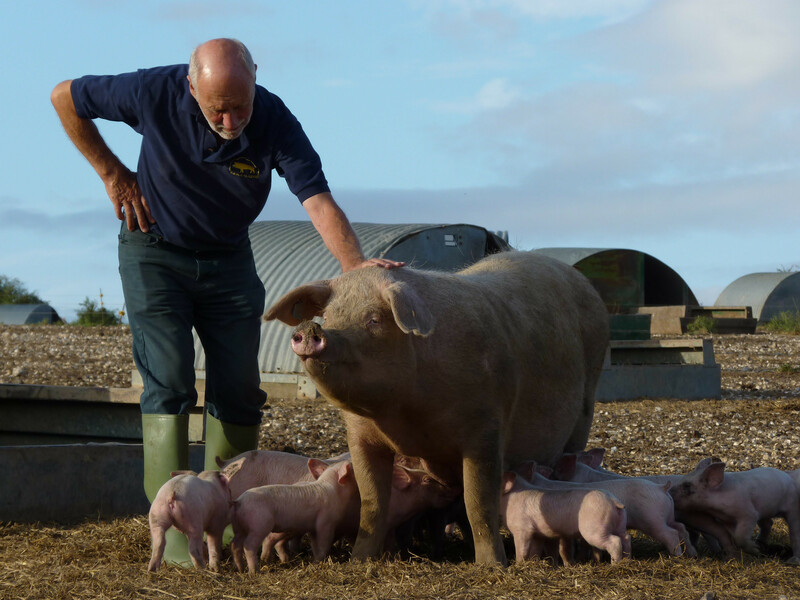 He set up the pig unit in 1988 and now keeps 500 sows, producing 10,000 finished pigs every year. 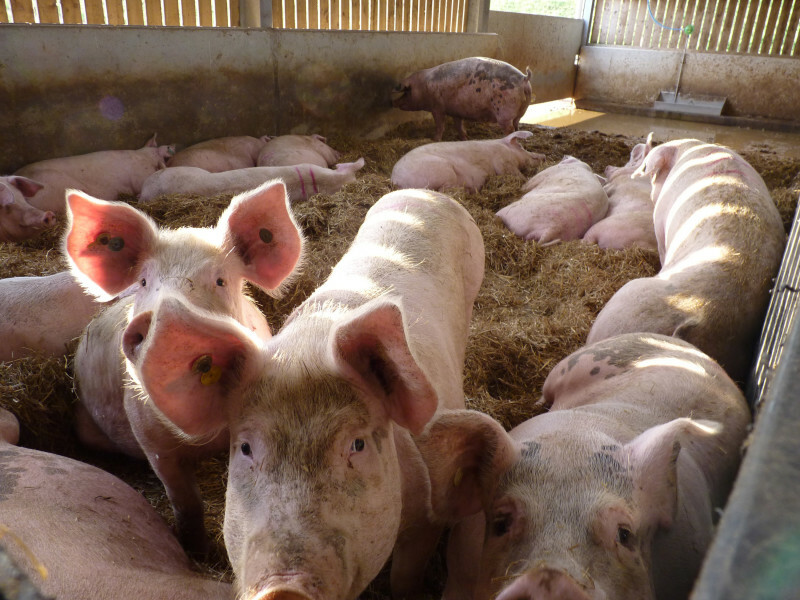 The sows farrow (give birth) outdoors and spend their pregnancy (gestation) indoors in straw yards. The weaners (four week old piglets), and growers (10 to 17 weeks old) are housed in converted dairy buildings on deep straw. About five to seven weeks before they are ready for slaughter, at 22 to 24 weeks of age, they are moved into fully slatted modern pig buildings with automatically controlled natural ventilation. Outside, the farrowing sows and gilts are rotated around the farm every two years, occupying 30 acres at any one time. The rest of the land is grazed by a neighbour’s sheep. 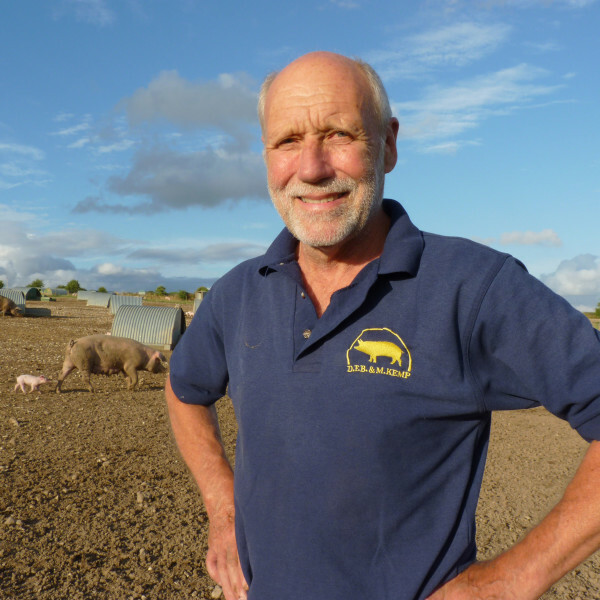 David’s pigs are sold through a major processor and end up on the supermarket shelves. David enjoys riding, repairing and restoring old motorcycles. He's a keen cricket and rugby fan, even though he doesn’t play anymore. Before becoming a farmer David was a history teacher. It wasn’t the right career for him so he got a job as a stockman and tractor driver before returning to university to study Agriculture at Reading University. 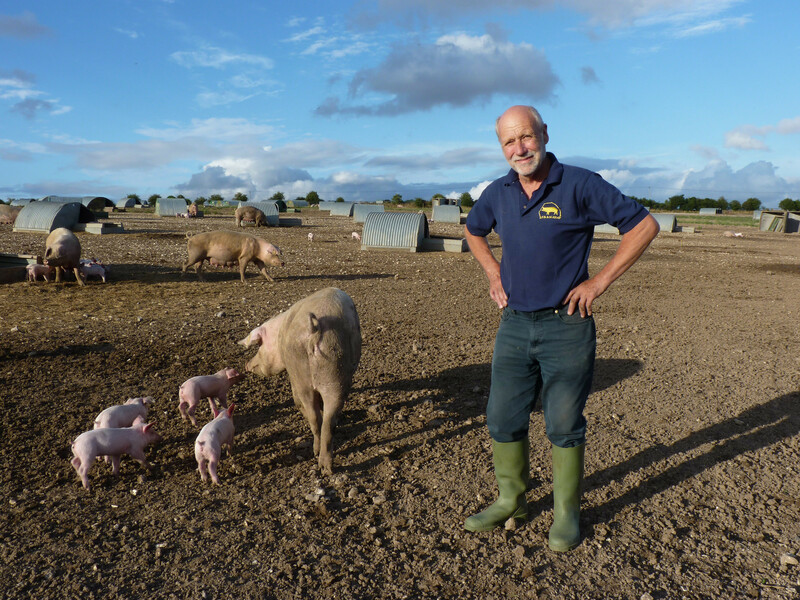 David feeds his finishers (the pigs almost ready for slaughter) on liquid co-products from the food industry mixed with barley and rapeseed meal. He uses whey from cheese making, waste yoghurt, and fermented wheat residue from a large-scale commercial food ingredients company. The pigs consume four to five 27 tonne tanker-loads of product per week. This is not the same as feeding domestic food waste or kitchen scraps to pigs, which is illegal. 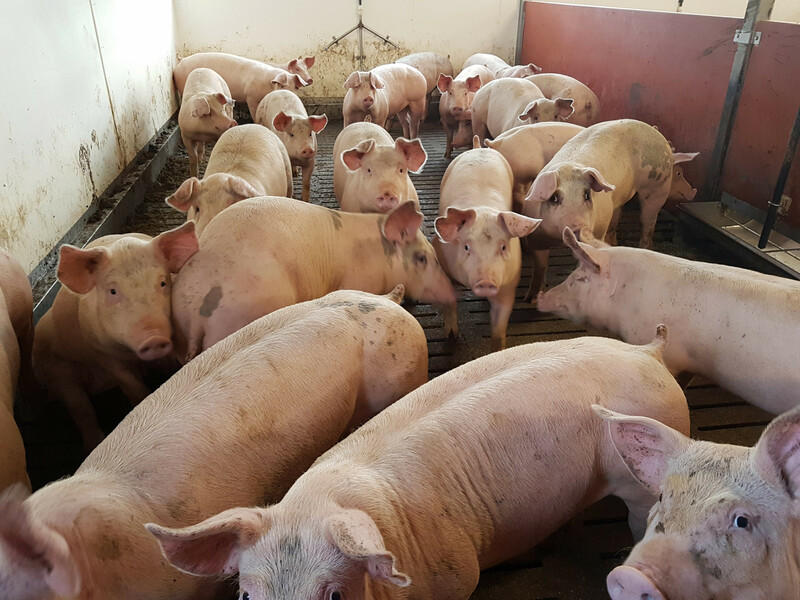 The law is strict on this to prevent diseases, such as African Swine Fever or Foot and Mouth, being transmitted to pigs through food waste that could contain animal products. However, milk products, like whey, can be used in animal feed as long as they come from a registered milk processing establishment, such as a commercial dairy or creamery. 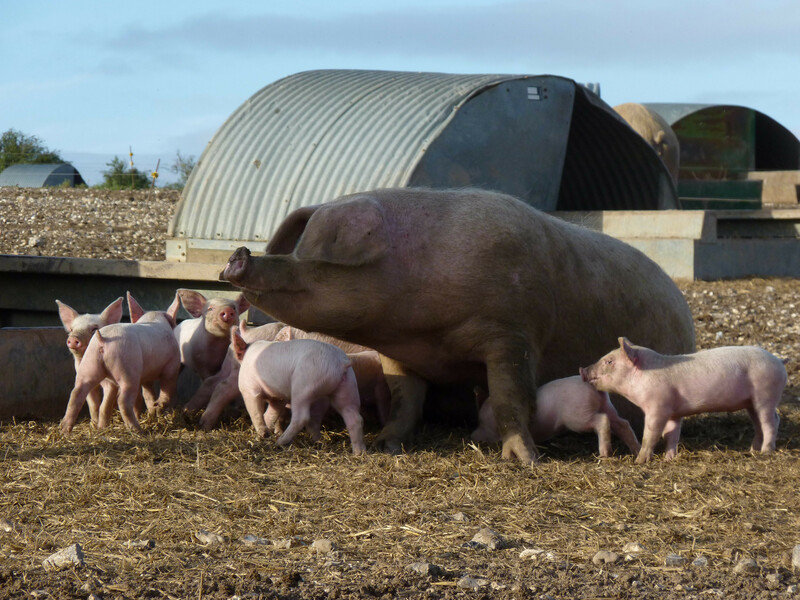 It reduces human food waste which would otherwise go to landfill, provides a balanced, nutritious diet for the pigs and saves David money on feed bills. On Your Farm, BBC Radio 4 (1986), Farming Today, BBC Radio 4 (mid 1990s) about BSE and BBC Radio Wiltshire (2000s) about Avian Influenza in pigs.